A "National" Holiday is occurring in St. Louis today! 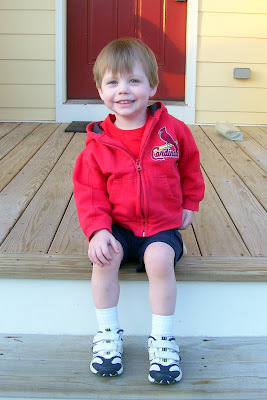 St. Louis Cardinal Baseball Opening Day 2010! 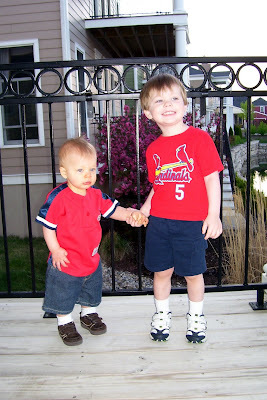 "Do we wear RED to day Mommy?" "Yes, Buddy...everyone who lives in St. Louis, should be in red today!" 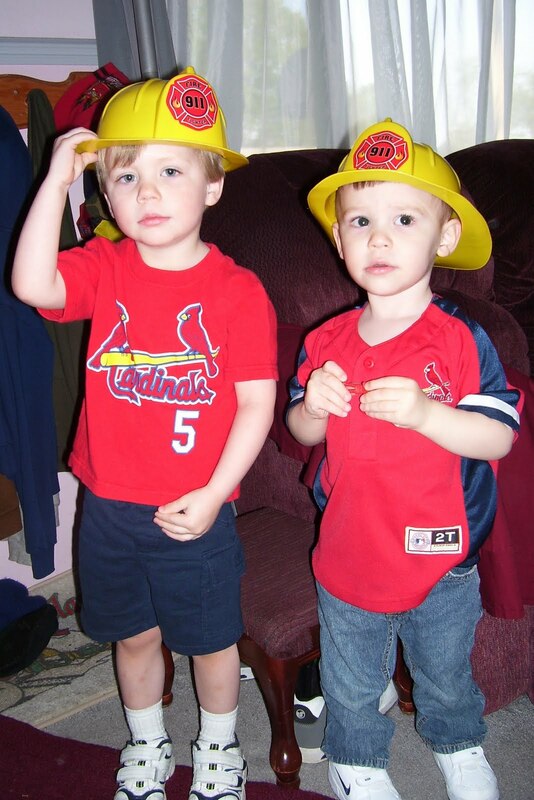 "Hey Mason, you have Cardinal stuff on too...want to play fireman?" 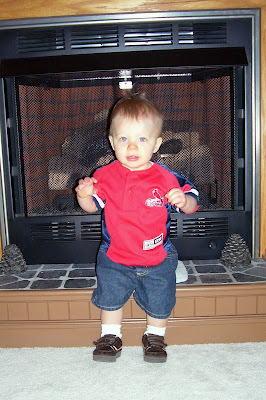 OK, So Mikey has a lot to learn, but he was still excited, because Daddy was!